As high school math teachers shift to the Common Core State Standards, the question remains: What do the standards actually look like in the classroom? This book answers that question by taking you inside of real Common Core classrooms across the country. You’ll see how exemplary teachers are meeting the new requirements and engaging students in math. Through these detailed examples of effective instruction, you will uncover how to bring the standards to life in your own classroom! 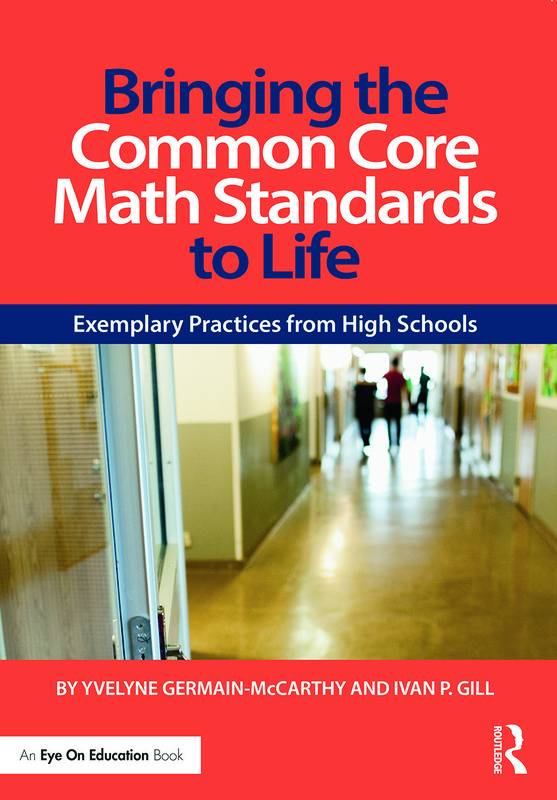 "The authors remind us that the Common Core State Standards for Mathematics do not represent brand new ideas, but rather build on more than two decades of work to improve mathematics teaching and learning. This practical resource underscores the importance of mathematical thinking and reasoning within the Common Core and shines a light on classrooms where teachers work to help all students learn mathematical habits of mind. Amidst a sea of confusion, chaos, and misinformation about the Common Core, the authors offer grounded advice about where to look for support and through real stories remind us that teachers are the key players in making the ambitious goals of the Common Core standards a reality for every student." "Almost ten years of high school mathematics teaching has shown me that there is only one thing we as teachers can depend on: change. This book appropriately combines a detailed analysis of the changes to come with a robust set of real-life examples to support teachers in making the transition. Dr. Germain-McCarthy and Dr. Gill have provided a roadmap that not only explains what teachers can expect in the transition to the Common Core State Standards for Mathematics (CCSSM), but also paints a picture of successful CCSSM implementation through a variety of case-studies, thereby transforming the theoretical content presented in the new standards into techniques and activities that teachers can actually use in the classroom." "This book would be ideal for both high school mathematics teachers and administrators. It allows the two groups to gain a better understanding of how to implement and assess lessons that address the goals of reform-oriented documents and the Common Core Standards. The inclusion of discussion points allows teachers and administrators to anticipate stakeholder and student concerns with the tasks and approach to teaching—a benefit for all those making this transition. Another benefit is the inclusion of the actual tasks with enough description of content for those who might not be familiar with, for example, sampling distributions. (One task may be too teacher-directed for any real discovery learning.)" 2. EXEMPLARY PRACTICE: WHAT DOES IT LOOK LIKE? Yvelyne Germain-McCarthy is Professor Emerita of mathematics education at the University of New Orleans. She is a frequent speaker at conferences and a consultant to school districts. Ivan P. Gill is Assistant Professor and Science Education Coordinator at the University of New Orleans, where he has taught elementary and secondary science methods courses.